Performance: November 17, 2014 @ 10:00 a.m. & 2:00 p.m.
Free Admission! Photography & video encouraged. 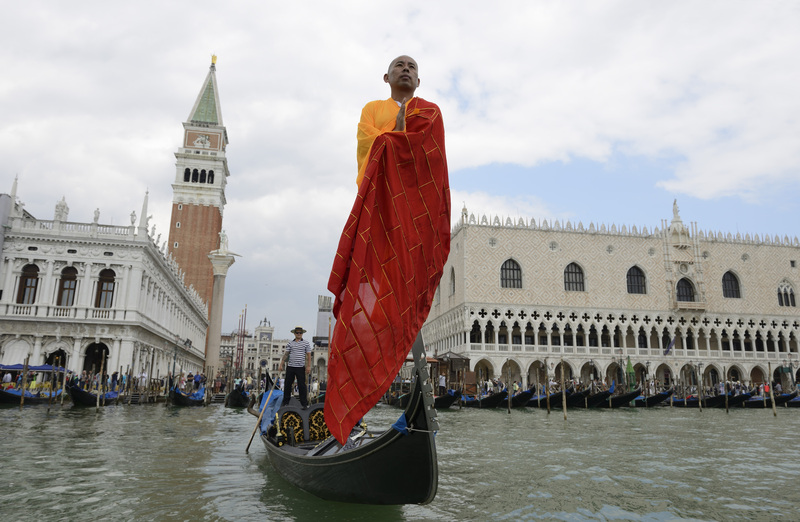 Chinese performance artist Li Wei will levitate in the skies above The Ringling to soar over the Ca’d’Zan at 10:00 a.m. and the statue of David at the Museum of Art courtyard at 2:00 p.m. on Monday, November 17, 2014. He will be hoisted into the skies by a crane. There is no admission fee to view these performances, and visitors are encouraged to photograph and record the artist and to share on social media. Enter at the Visitor Pavilion and a tram or cart will take media groups to the mansion for the performance. After it ends, Wei and Ringling Asian Art Curator Fan Zhang will answer questions about the performance. Please RSVP so that The Ringling can arrange transportation. Li Wei has thrilled audiences around the world with his genre-challenging works. By presenting his bold ideas and activities, Wei has successfully combined performance and photography to challenge the audience’s understanding of reality and truth. He is famous for never using special effects or computer editing. 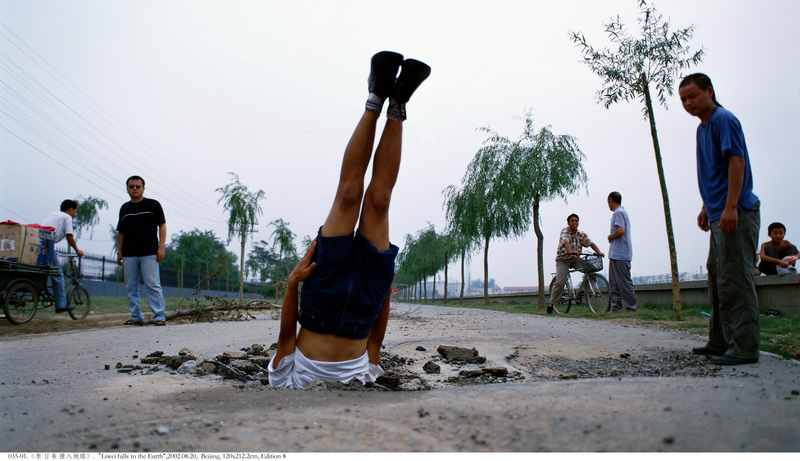 Wei has gained global acclaim for his Fall series of photographs, which depicts him embedded in the street with his feet facing up or half-way submerged in a lake. Wei’s latest works include the ongoing Fly series, which he has recently performed at the Grand Palais in Paris and over the Piazza San Marco in Venice. The performance above the Ca’d’Zan will be a part of this series. The Ringling has commissioned photographs from each of his performances on November 17, 2014. The photographs will become a part of The Ringling’s permanent collection. Li Wei’s photography combines traditional Asian motifs and stunt performance with a circus flair. We are excited to offer contemporary Chinese art as a taste of what’s to come as we continue to build our Center for Asian Art. The Ringling broke ground on the center in December 2013. Construction is ongoing with a projected opening of February 2016. The center for Asian art project takes The Ringling in a new and exciting direction in its mission of promoting arts and research. The Ringling has commissioned Machado and Silvetti Associates to construct a new building and renovate a portion of the existing wing, which together will provide nearly 20,000 square-feet for the new center. Wei’s performance at The Ringling is in conjunction with the exhibition Seeing the Unseen, currently on display in the Searing Wing of the Museum of Art. The exhibition features photography and film by eight contemporary Chinese artists, including Wei. Seeing the Unseen will remain on display until February 28, 2015. Wei will also present a public lecture at 5:00 p.m. on November 20 to share his performance ideas with the audience and reveal new photographs from the performances at The Ringling.